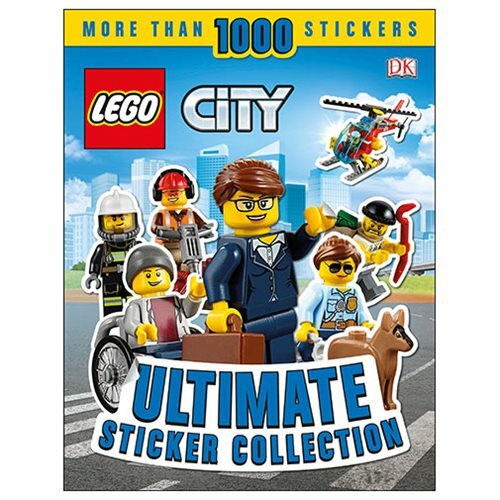 Featuring more than 1,000 stickers of the latest LEGO City sets and mini-figures, this LEGO City Ultimate Sticker Collection Paperback Book takes readers on an adventure through the bustling streets of LEGO City. Meet brave police officers and firefighters as they work to keep LEGO City safe. Visit the busy train station as mini-figures race to catch their trains and head to the airport where a very important arrival has just flown in. Enjoy a delicious picnic in LEGO City park, then go to the beach and cool down in the sea. Have fun finding the stickers for each page, and create your own lively LEGO City scenes. This 72 page paperback book measures about 11 1/10-inches tall x 8 3/5-inches wide.